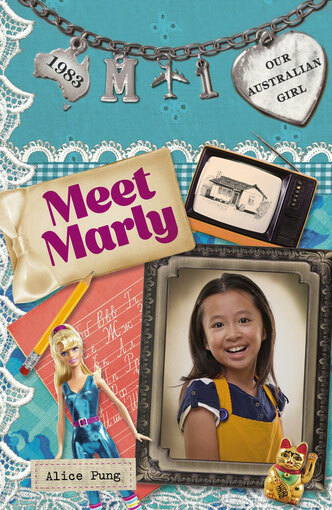 IN 2015, Alice's collection of children's books for Penguin's 'Our Australian Girl' series was released, beginning with 'Meet Marly'. Marly is a 10 year old girl growing up in Sunshine, Victoria in 1983. 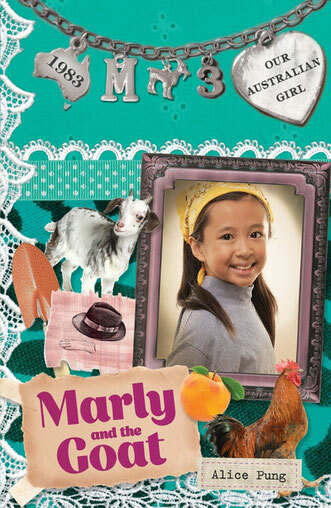 Based on Alice's own experiences as a child in the Western suburbs of Melbourne,the Marly series explores what life was like for many refugee kids adapting to new circumstances. Marly was launched at the Little Bookroom on the 28th of February by the extraordinary children's writer and illustrator Sally Rippin. You can pre-order or buy 'Meet Marly' here. It's 1983 in Sunshine, Melbourne, and everyone at Marly's school is collecting Donkey Kong cards. Marly desperately wants some cards too, but she has no money to buy them. Then she has a fantastic idea – to start her own business! Marly's money-making venture brings her something she hadn't planned on: new friends in a part of Melbourne that she never knew existed. And of course she knows how to find her way home again. Or does she? It's 1983 . . . and there's excitement in Marly's house. Her grandparents have arrived from Vietnam, and soon her mum will have a new baby. While Grandma tries to make Marly into a 'young lady', Grandpa digs up the back yard. Then he brings home Agnes, a goat! But the neighbours want Agnes taken away, and then things get dangerous. Will Marly be able to protect her grandpa and her pet? Follow Marly on her adventure in the third of four stories about a daring girl torn between two worlds. The long-awaited baby has finally arrived! But Marly never realised that a new baby would take up so much of everyone’s time! No one’s helping her with her costume for the school concert and she feels like she’s invisible. 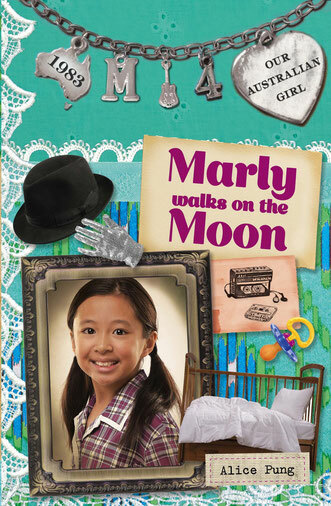 Marly’s secret plan is to perform the Moonwalk, the dance she’s been practising all year. But will she be ready in time, and can she dance in front of the whole school? Join Marly in the final of four stories about a daring girl torn between two worlds. 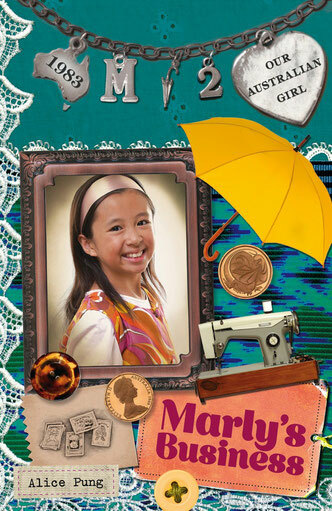 The Our Australian Girl series is a historical series of books aimed at girls aged 8 and above. The idea for the series was born when Jane Godwin, Publisher of books for Children and Young Adults at Penguin, noticed 'little girls reading a lot of mass market, tween-oriented material with an emphasis on fashion, make-up and celebrity... I felt that young female readers deserved something more. I also know that parents are concerned about the impact of 'tween' titles, worried that they're making this generation of girls grow up too quickly." Jane thought about the books she'd read and loved as a child. "Certain books had stayed with me to this day, like Little House on the Prairie, where there was a strong central female heroine who even if her life was very different to yours, you really identified with her."